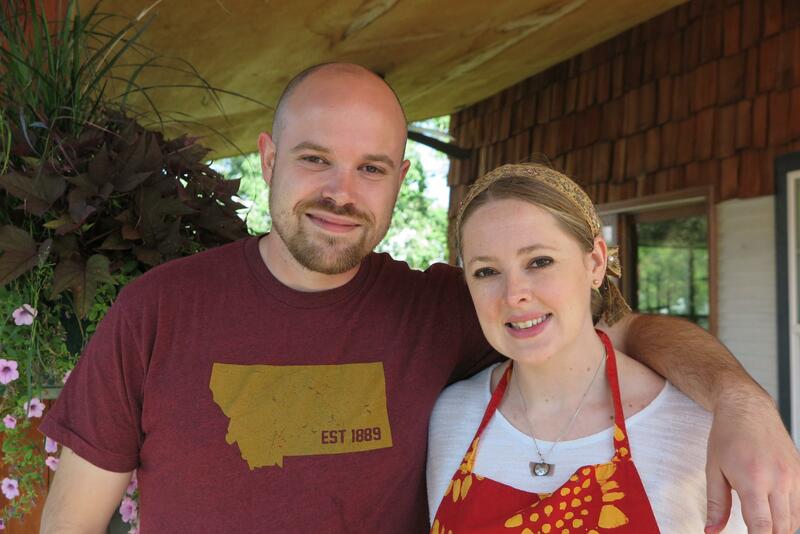 Chefs Nick Goldman and Wendi Reed of Wild Flower Kitchen. At Tippet Rise, passion rendered music, erected life-sized sculptures, and created food. Chefs Nick Goldman and Wendi Reed of Wild Flower Kitchen cater with energy and gusto at the 10,260-acre art and music center in Fishtail, Montana. Amongst the musical notes and wide-open spaces, they feed world-renowned performers from afar, and guests arriving for chamber music recitals or tours of the vast sculpture park. With intensity and focus, they prepare breakfast, lunch and dinner for Cathy and Peter Halstead, the founders and visionaries of Tippet Rise and their guests. They do the prep work in what Chef Goldman calls their “culinary studio,” located in the heart of Fishtail, next to the General Store. 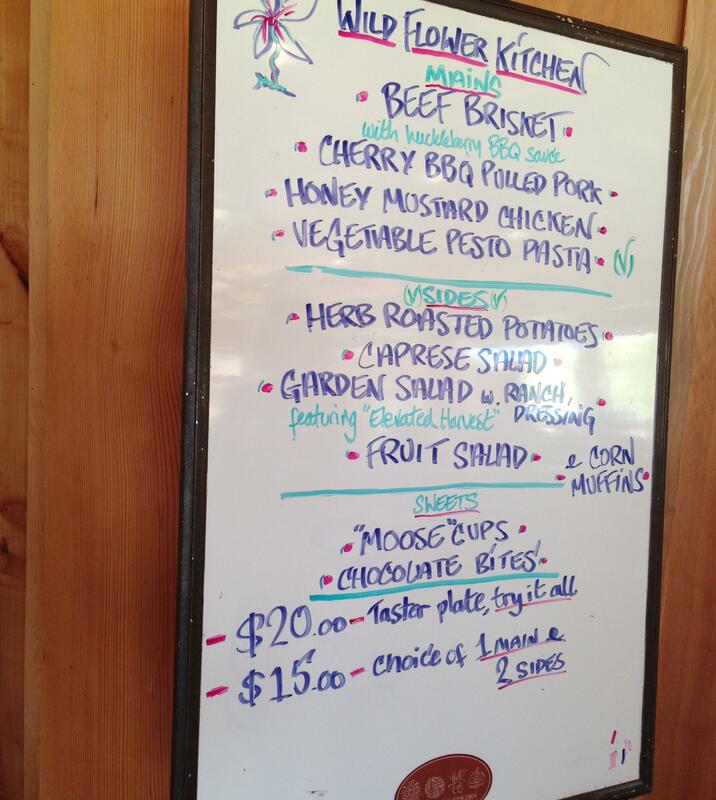 Chef Nick Goldman prepares for a lunch at Tippet Rise in his Wild Flower culinary studio. The former Muddy Lamb Pottery Studio has been converted to a working kitchen and catering facility. We met as they were preparing lunch for a gathering at Tippet Rise. Goldman’s speech is fast paced. His attention raced between the culinary task at hand to what his staff was doing, to speaking to me. “I like to stay busy, as you can tell” was an understatement. 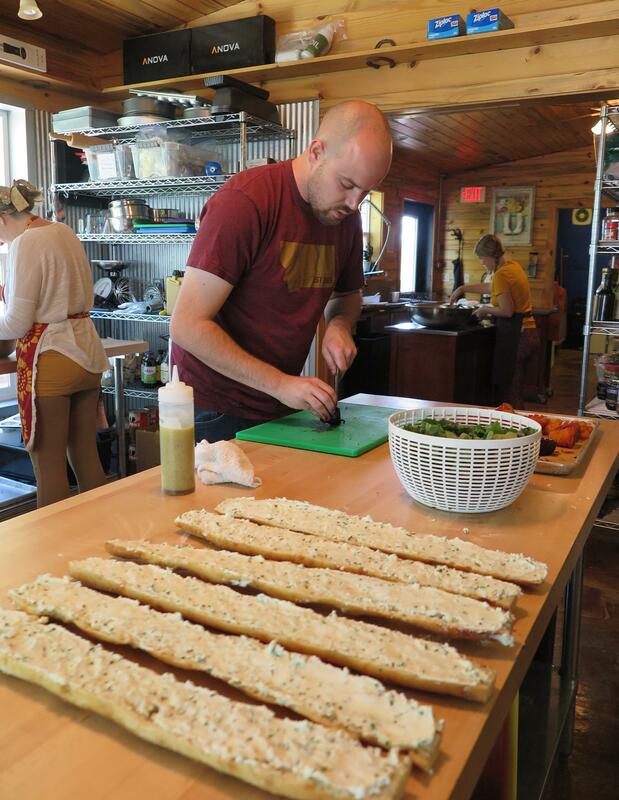 “We want to emphasize Montana style service and humility and respect of our landscape,” as well as deliver beautiful food production and beautiful food products.” But for Goldman and Reed, even with their hectic pace, they find time to mentor three culinary students. Along with the students, Goldman’s brother is also on the team helping them out. Though his expertise is front of house, Benji has jumped in and helped with prep and service. Preparing food in Tippet Rise’s remote location has its challenges. “They want simplicity, although none of this is simple to do food-wise, as we are on top of a mountain. Wendi and I went shopping until 8 or 9 o’clock last night at twelve different stores because we source everything ourselves.” Goldman and Reed come to Billings to stock up, having learned where the best products are found. Building relationships with suppliers and purveyors has made things easier. 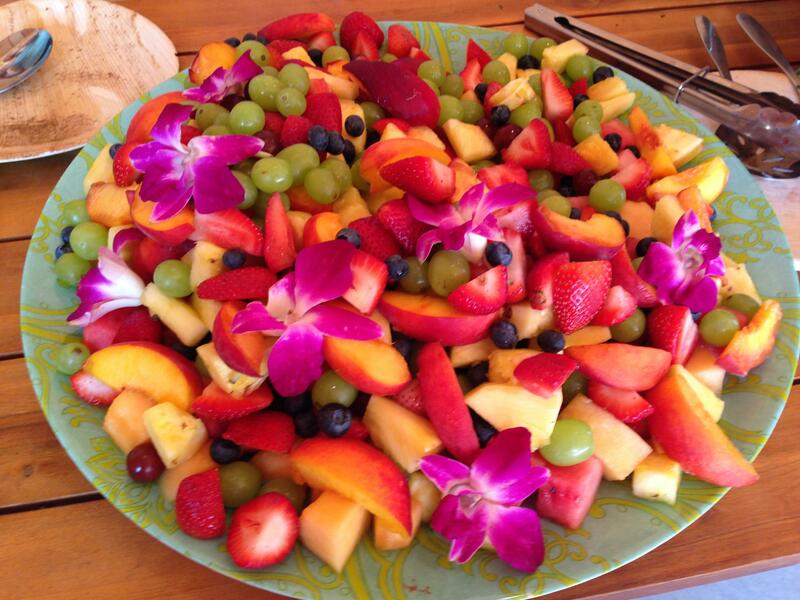 Fresh fruit salad for opening night’s buffet. Goldman started in the industry when he was 15 years old, working in a London pub. “I used to polish brass and do service. 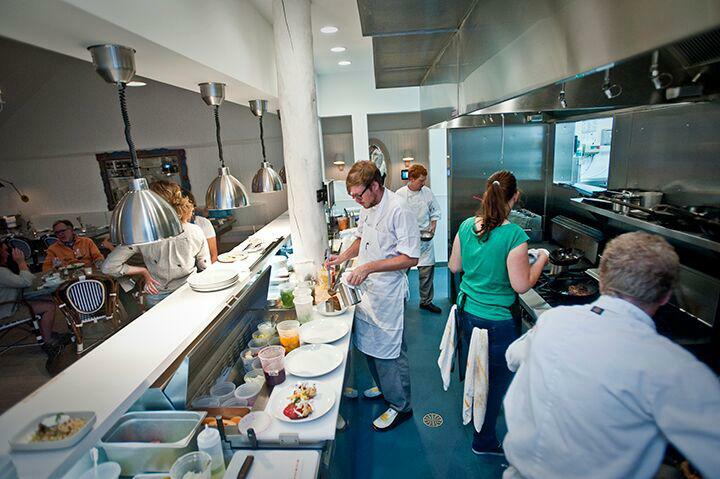 I got into the dish pit, basically got sort of an education there very quickly,” he said. After completing his culinary training in Portland at the Le Cordon Bleu, he returned to London, working in Michelin-starred restaurants and living in a city where” it was impossible to pay my bills.” He moved to the states and did a stint in Seaview, Washington, where he learned to work with fish and to appreciate the bounty of local foragers. Drawn to Montana, he cooked in Billings at Bin 119, the Crown Plaza, and then at Bones, helping a friend from England. 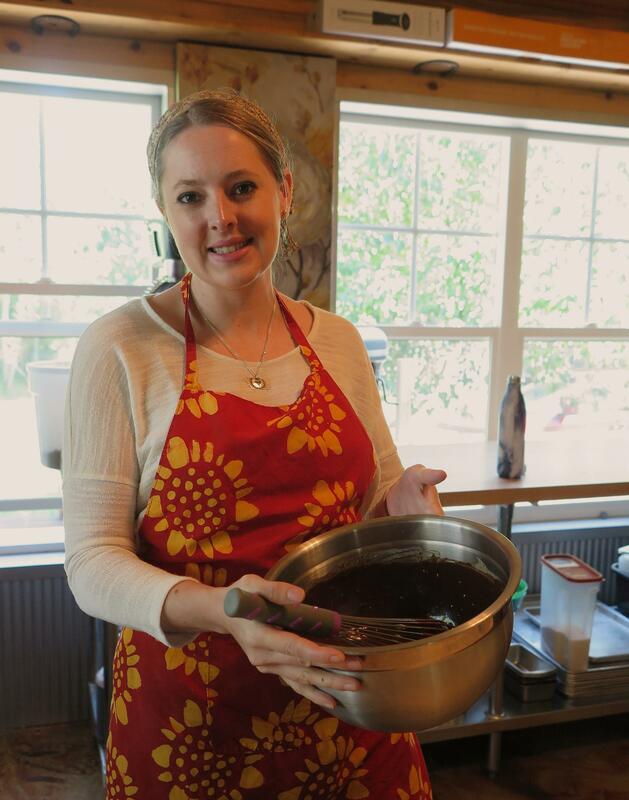 Chef Wendi Reed with a bowl of chocolate ganache. Reed started in the culinary world while in high school in Los Angeles. She got involved with the CCAP, Careers Through Culinary Arts Program working with many local chefs. She had the opportunity to cook with Wolfgang Puck and did catering events for the Oscars. She attended culinary classes at Mission Hills College where she got a degree in food prep before graduating from high school. She earned a culinary scholarship to Johnson and Wales University in Denver. After completing the program, her work took her from dive bars to country clubs, and to big hotels in Las Vegas. Ultimately, she established her own pub, the British Bulldog. Goldman and Reed met over potatoes at her pub. At the time, Goldman worked at a rival pub, the Three Lions, and shared a love of cooking and soccer. In culinary school, one of skills learned that separated the pretenders from the professionals was carving a potato with a tourne cut, a football shape with seven equal sides and flat ends. “He had the knives and I had the potatoes, so I pulled out a blade and a sack of potatoes and said “Let’s duel” and the rest is history. Goldman arrived in Billings and assumed the management of the Big Yellow House B&B that was owned by his mother, and with Reed, took over the reins about 10 years ago. It was here they met Tippet Rise founders Cathy and Peter Halstead. Goldman has sinced sold the bed and breakfast. Over the year he believes he has cooked over a thousand meals for the Halsteads. Will’s Shed at Tippet Rise. The evening buffet menu before Yevgeny Sudbin’s opening night paino performance. 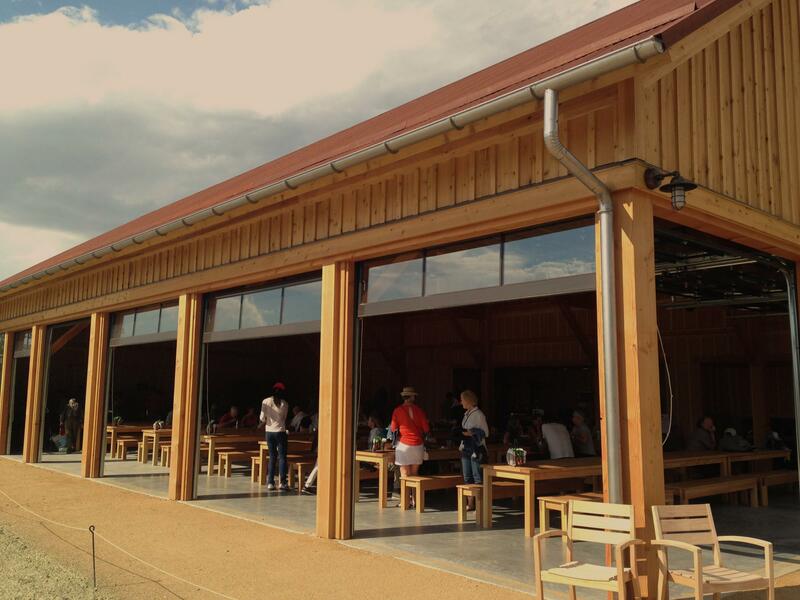 The shed can accommodate 168 guests and has a series of glass overhead doors on two sides allowing for the structure to be completely open when the weather permits, or buttoned up if inclimate weather threatens. Goldman and Reed will find the new kitchen more usable. Currently the kitchen is not completed. Goldman has better access from the kitchen to the area where food is served. This way, he can address issues from the catering team more easily. Benji Goldman sets up a tray of Cherry Barbecue Pulled Pork for this night’s buffet. “When they first put the kitchen in the Olivier Barn they had the vision of a warming kitchen where there would be small hor d'oeuvres, but the barbecue is a substantial part of the weekend,” Viklund continued. There will be a larger walk-in refrigerator, a commercial hood and more prep space. The kitchen flows to the deli bar area with more ease. With Will’s Shed and its new kitchen, Chefs Goldman and Reed will only continue to nourish those who come to Tippet Rise. 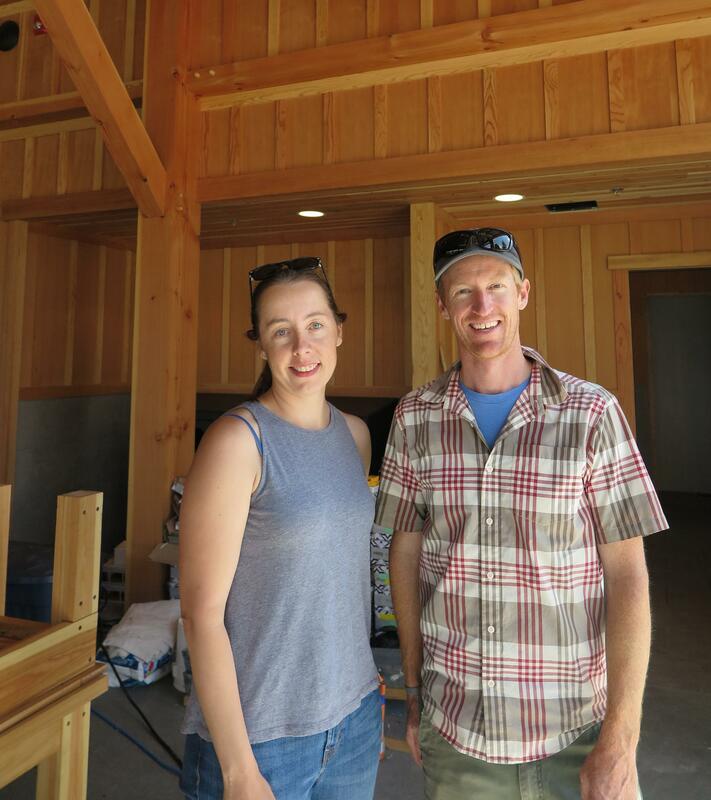 Laura Viklund of Gunstock Timber Frames and Pete Hinmom, Director of Operations in Will’s Shed. The holidays are upon us and this is the time of the year that food traditions from years past are recreated and savored. For Lori Smith, it is fruitcake, Carolyn Holmlund leftse, and Chef Jeffrey Cooper latkes. Fruitcake evokes sentiments of love or hate. For those who are enamored with this aged, dried fruit laden spirited cake, there is a sense of pride in cherishing this tradition. 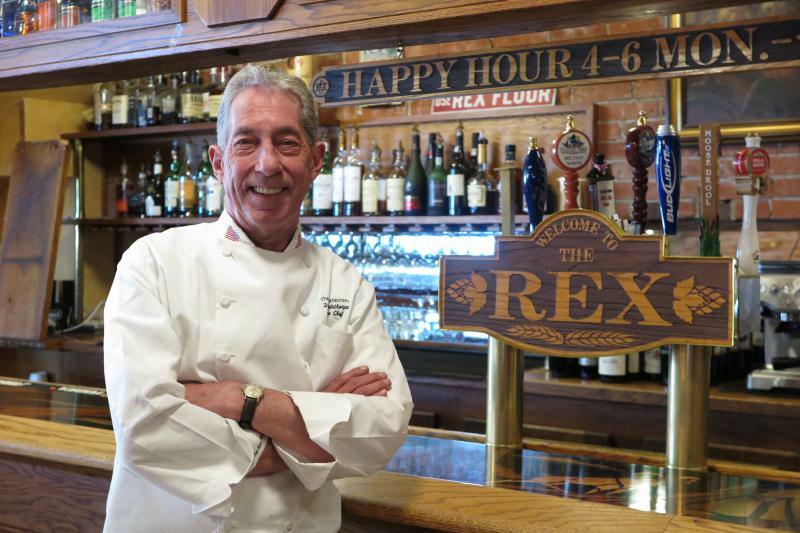 Executive Chef David Maplethorpe retired from the Rex Bar and Grill the day after Valentine’s Day. With the sudden closing of the iconic restaurant, Maplethorpe exited earlier than his planned May 20th date, after fulfilling his commitments with the Montana State University Billings Wine and Food Festival.